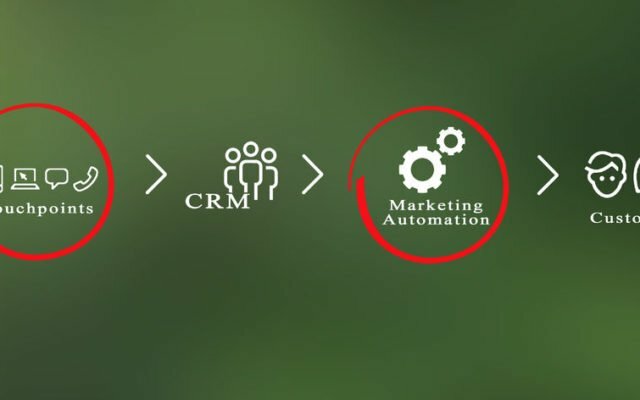 Technology is constantly changing and marketing automation is changing the landscape of customer communications. It is important to keep up these latest developments as they will start to impact any business wanting to reach out to customers. Large businesses, such as Amazon, Ebay, Groupon and Sky, have become ever more become slick when keeping in touch and sending relevant updates to their customers. This communication efficiency then becomes normal for consumers; they expect the same from other businesses who contact them. For instance 75% of people interviewed in the street on 4th February 2018 said they now expect delivery in 48 hours, they would want to see instant responses to messages and requests for information; Consumers now look to the big brands to entertain them and they are becoming increasingly sophisticated at online engagement. Amazingly, smaller businesses are now able to quickly deploy the same automated, engaging communication processes with the help of systems like LiveCom. This automated marketing-to-sales funnel software is easily tailored around your business, customers and target audiences. Communications are sent via Social Media, Email, SMS, Online and can be informative, educational, thought provoking, ego boosting… They provide options for instant purchases online, to book appointments, to take fun quizzes (that can give you amazing customer data), make referrals or to take advantage of affiliate incomes. Every click is tracked and the system gives you a transparent dashboard showing every transaction, engagement and message. The LiveCom team build tailored marketing funnels that can run on autopilot and they offer a service to write all articles, create quizzes, build e-commerce packages so that you can do what you do best. LiveCom also offers an option for low cost start and a commission per new sale generated. This really helps to prove that this system works and by customer and supplier working together as a team, with a mutual investment in success, the results can be staggering. With costs from only £99 per issue this is really bringing the power of sales on autopilot in reach of everyone.